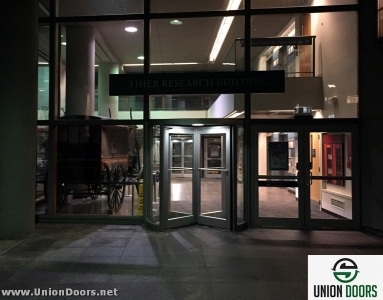 Click link below for referenced site. 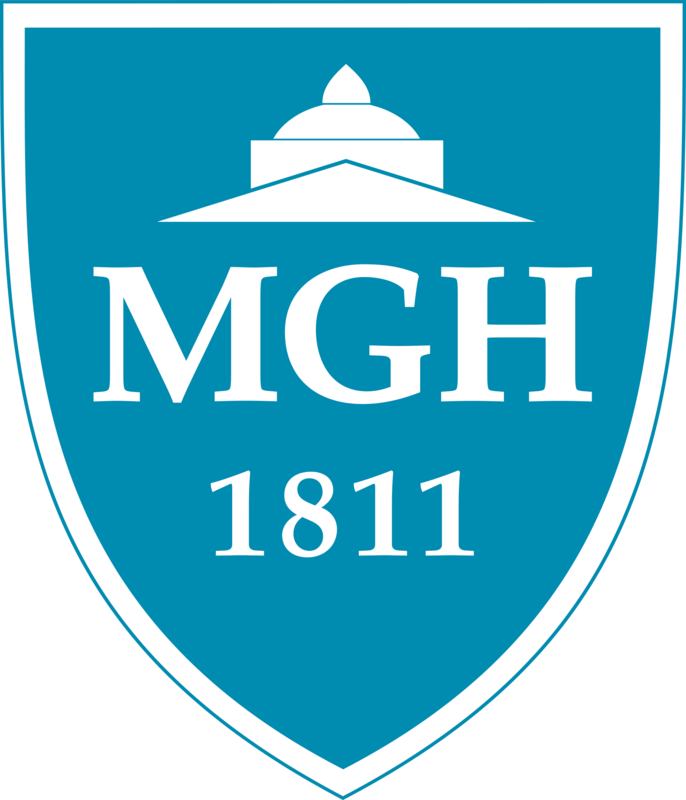 The Cheviot Corporation was founded in 1960 by two classmates from the Massachusetts Institute of Technology. 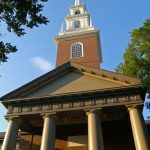 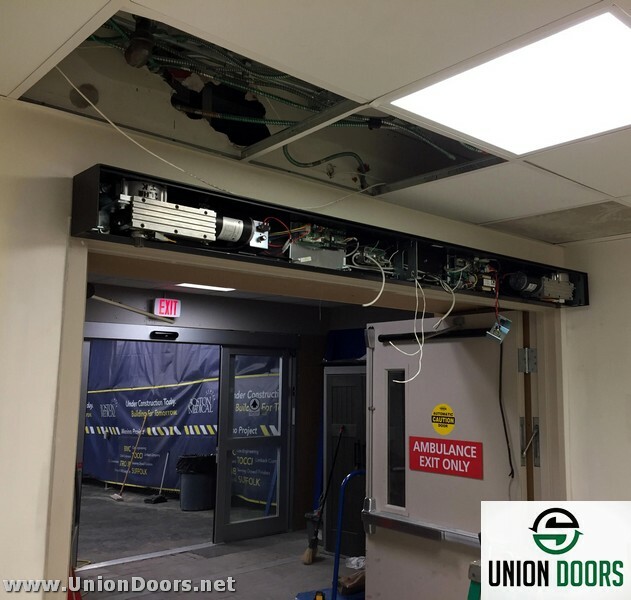 Within a few years, Cheviot had emerged as one of the leading acoustical ceiling contractors in New England. 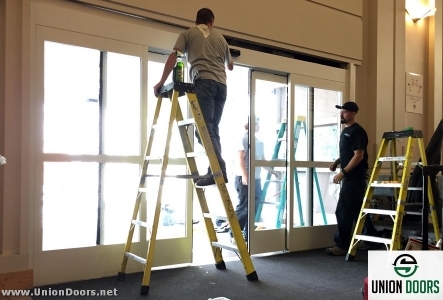 In the seventies, seeking to broaden the company’s scope, Cheviot entered the aluminum replacement window business. 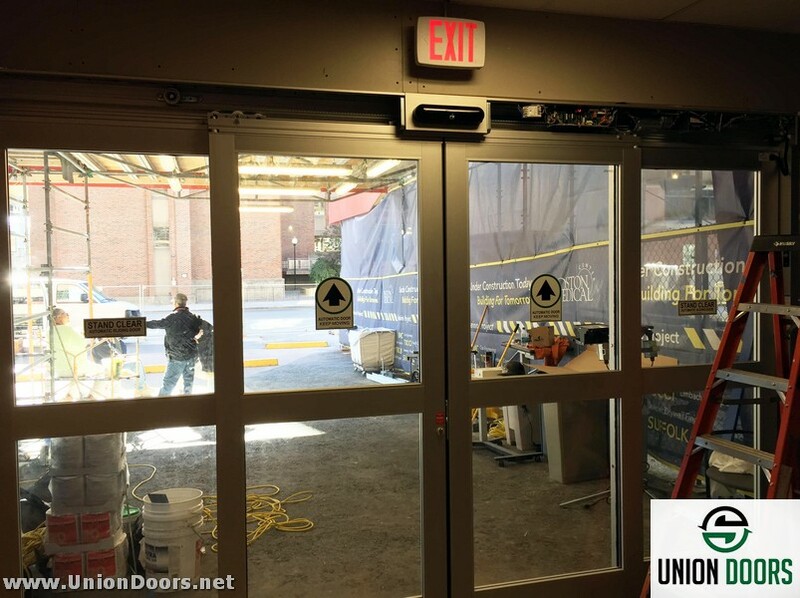 As the years progressed, the replacement window business expanded to include curtainwall, glass and glazing, metal panels and historical restoration. 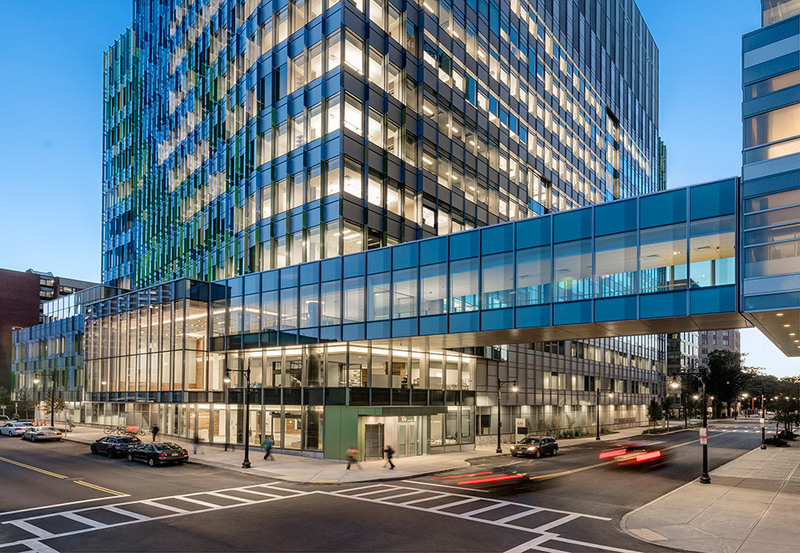 Today Cheviot prides itself in being one of the prominent contractors in the curtainwall, glass and glazing, metal panel, aluminum window, historical restoration, acoustical ceiling, acoustical wall panel, and access floor sectors of the industry. 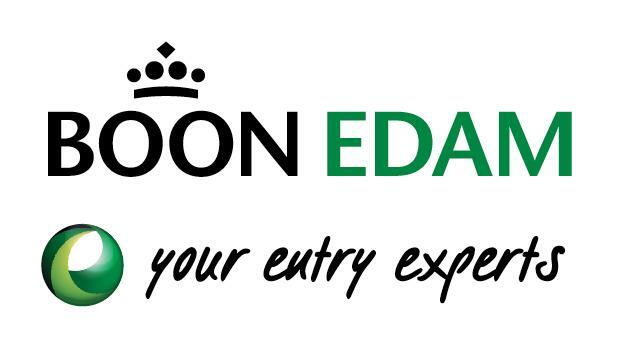 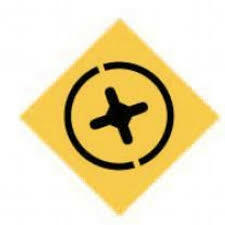 Union Door provides strategic consulting, design, and project implementation of Entranceway Technology . 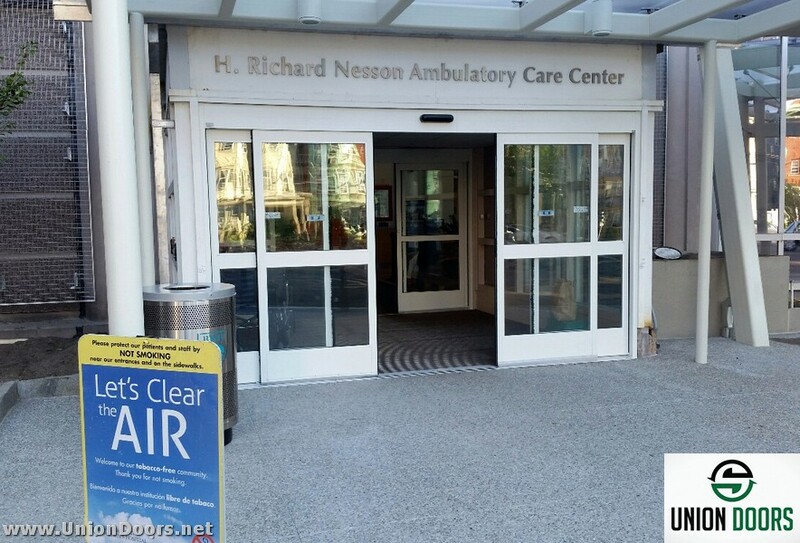 The new Acoustic STC-35 ICU Swing™ Door from Horton Automatics is the first door designed to meet the stringent demands of hospital applications, according to Jed Foglesong, Global Product Manager. 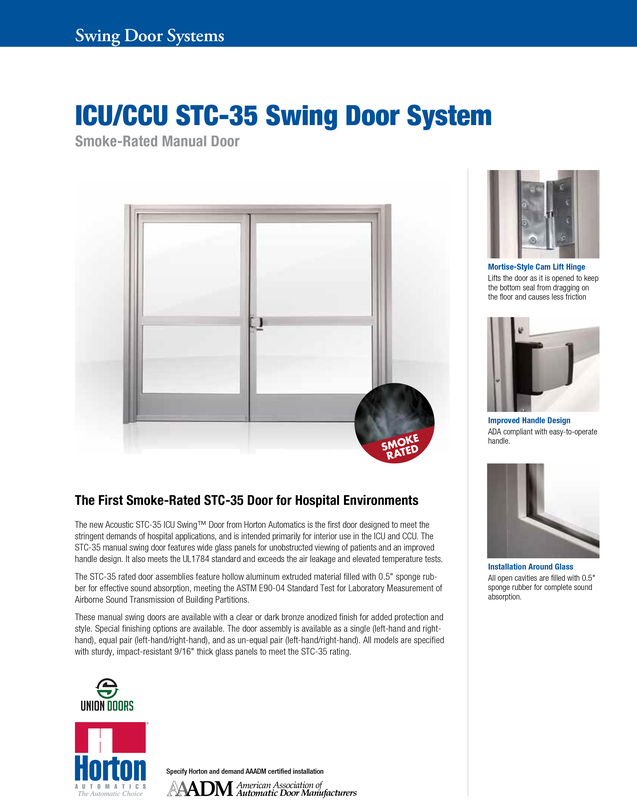 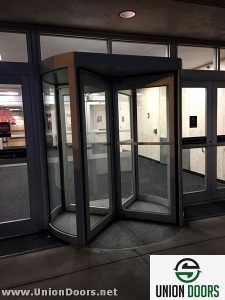 Intended primarily for interior use in the ICU and CCU, the STC-35 manual swing door features wide glass panels for unobstructed viewing of patients and an improved handle design to prevent jamming due to continuous use. 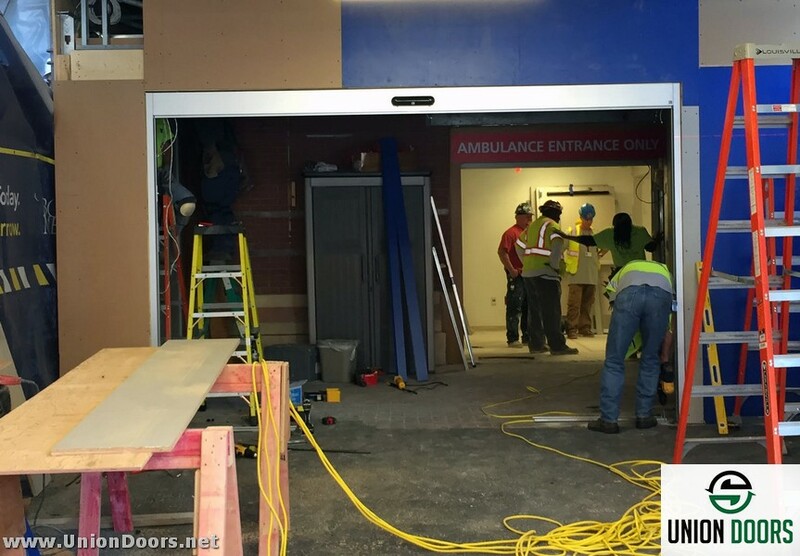 This is a great advancement to service the need when a hospital rated door is specified for a project. 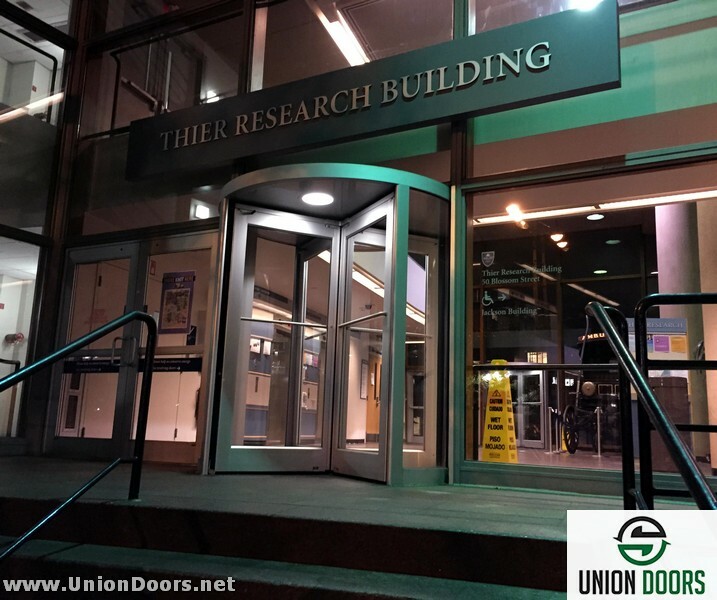 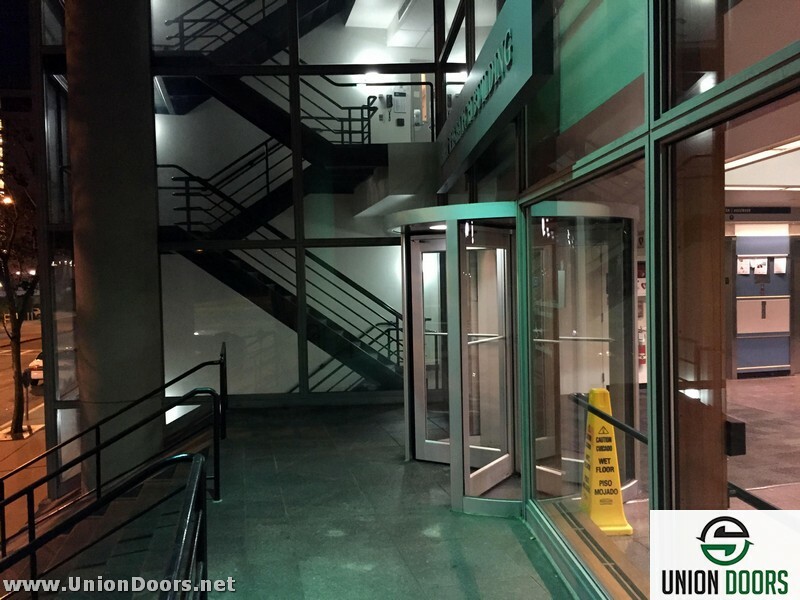 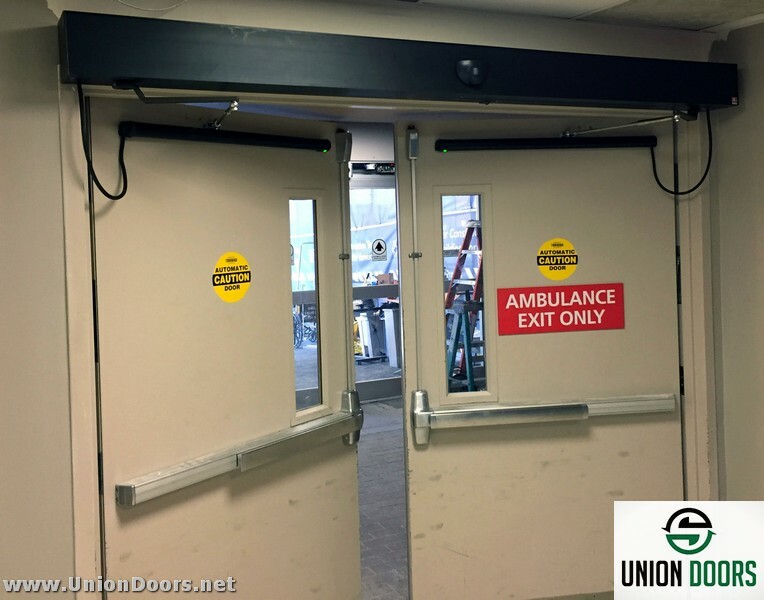 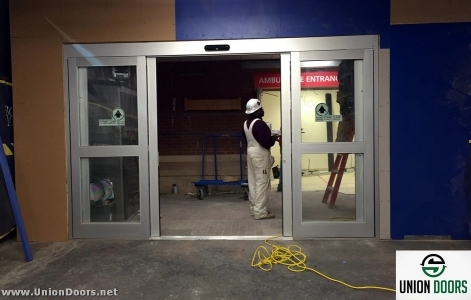 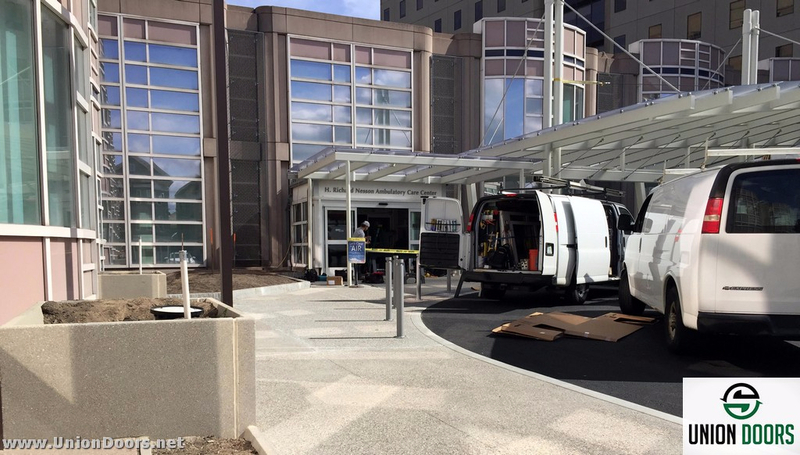 Union Doors contracts many projects for the rapidly expanding hospital and healthcare industries in Boston and all of Massachusetts. 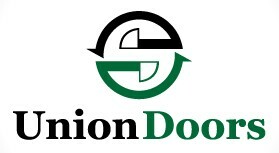 This is a top of line product and Union Doors recommends it for all viable applications. 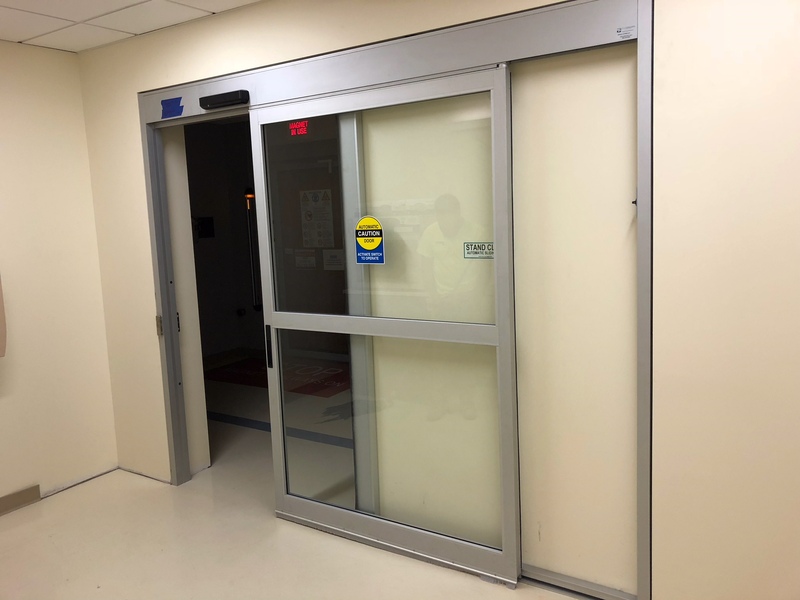 The STC-35 rated door assemblies feature hollow aluminum extruded material filled with 0.5” sponge rubber for effective sound absorption, meeting the ASTM E90 Standard Test for Laboratory Measurement of Airborne Sound Transmission of Building Partitions. 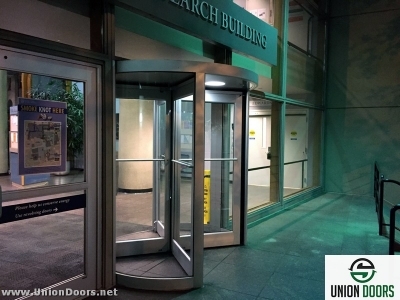 These manual swing doors are available with a clear or dark bronze anodized finish for added protection and style. 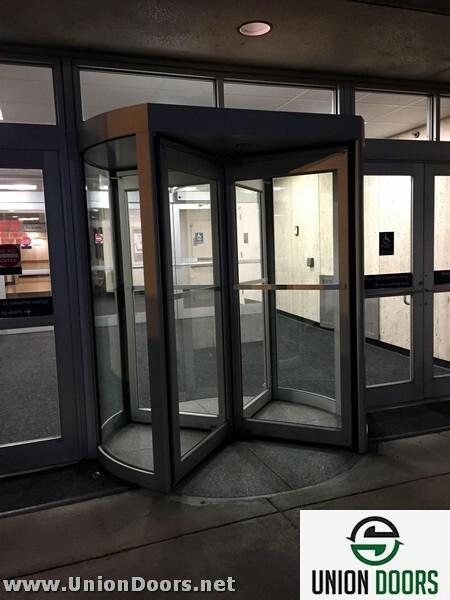 Special finishing options are available. 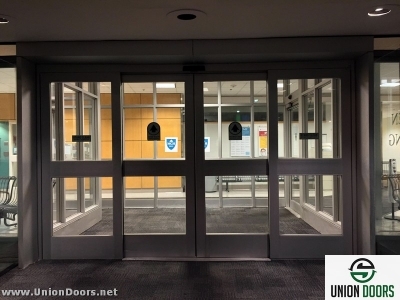 The door assembly is available as a single (left-hand and right-hand), equal pair (left-hand/right-hand), and as unequal pair (left-hand/right-hand). All models are specified with sturdy, impact-resistant 9/16” thick glass panels to meet the STC-35 rating. 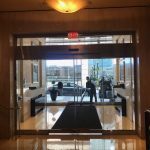 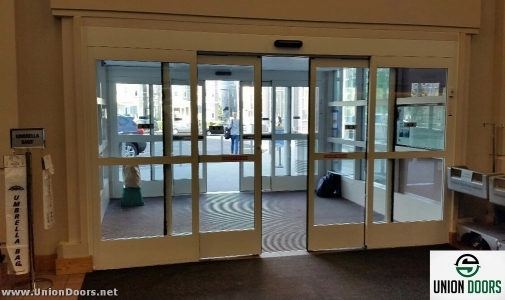 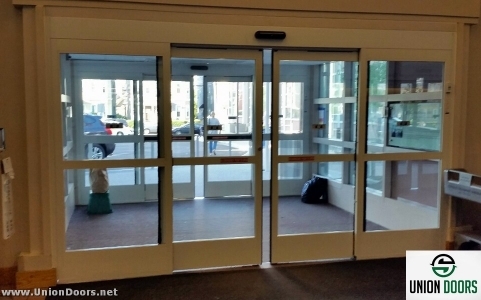 Horton Automatics offers the industry’s broadest selection of manual and automatic doors for the healthcare environment. 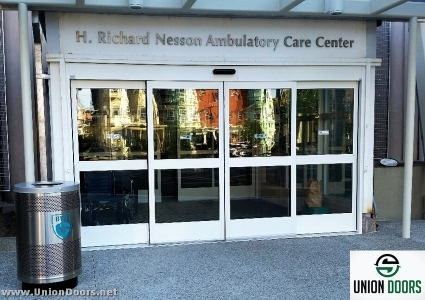 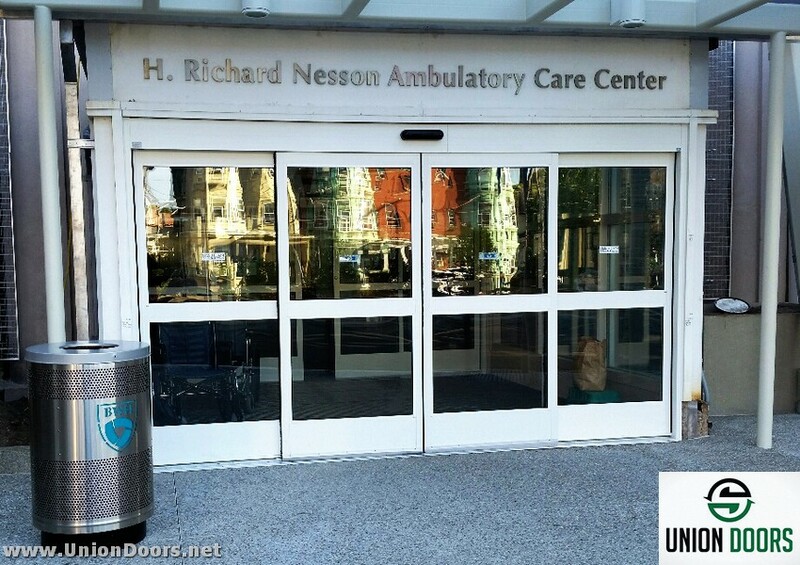 Union Doors specializes in door work for the healthcare industry. 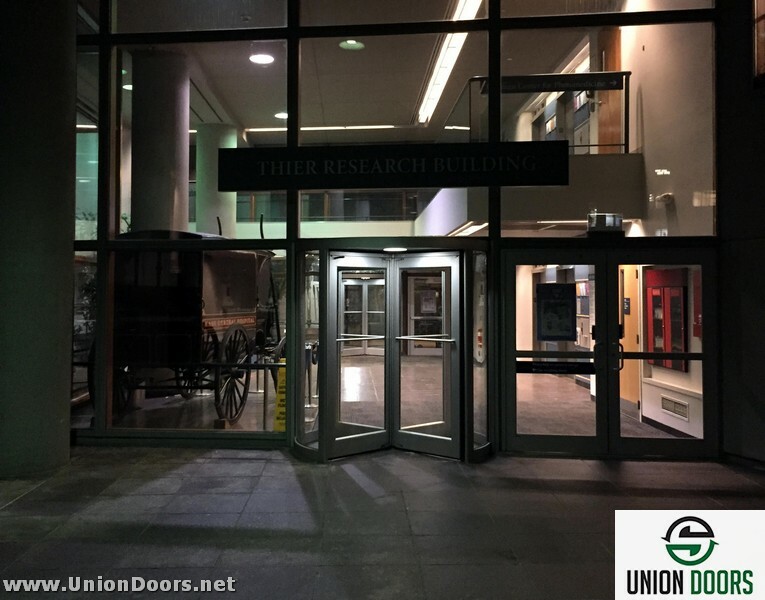 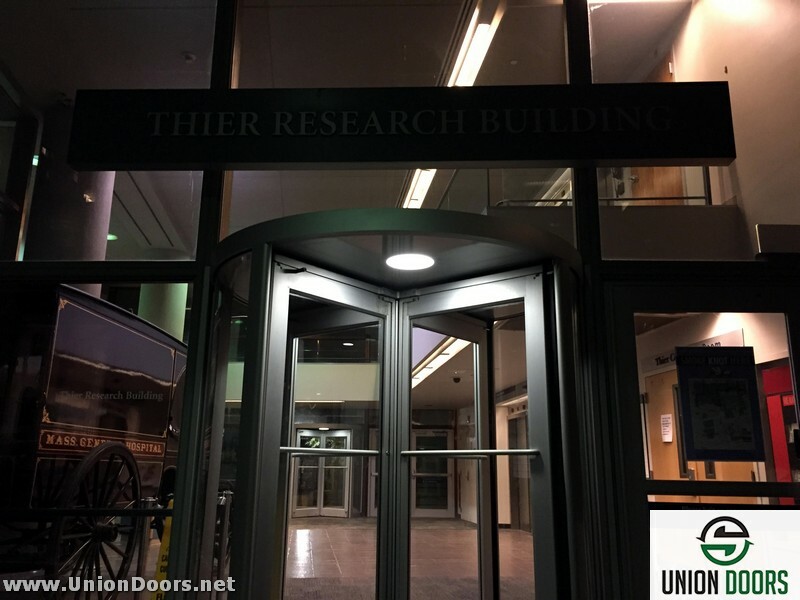 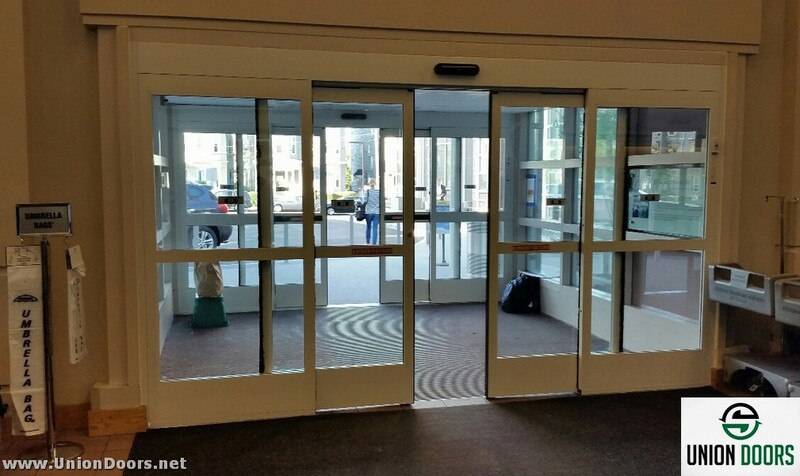 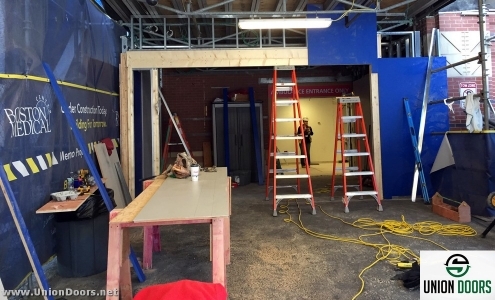 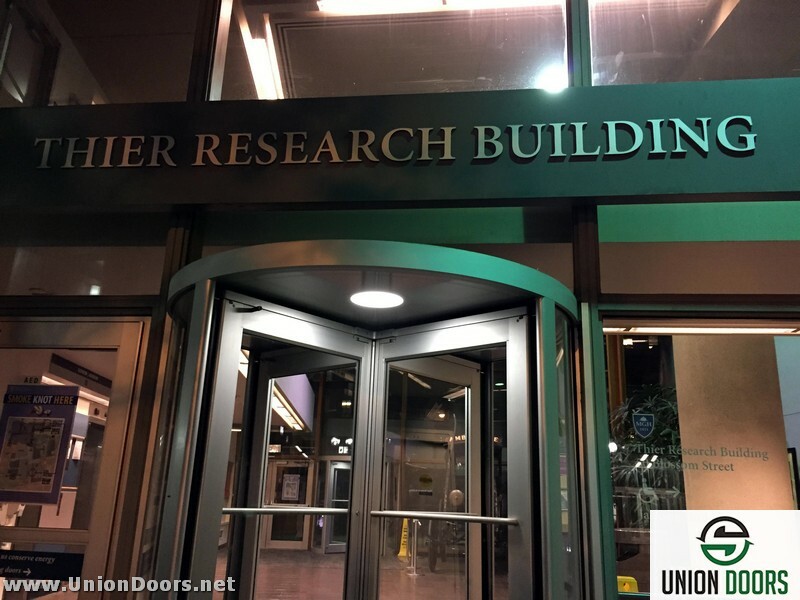 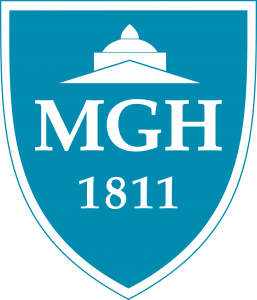 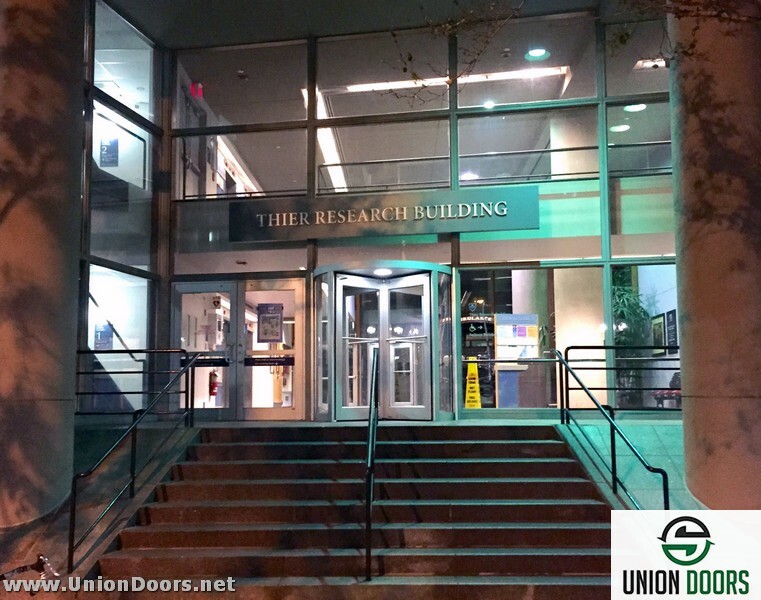 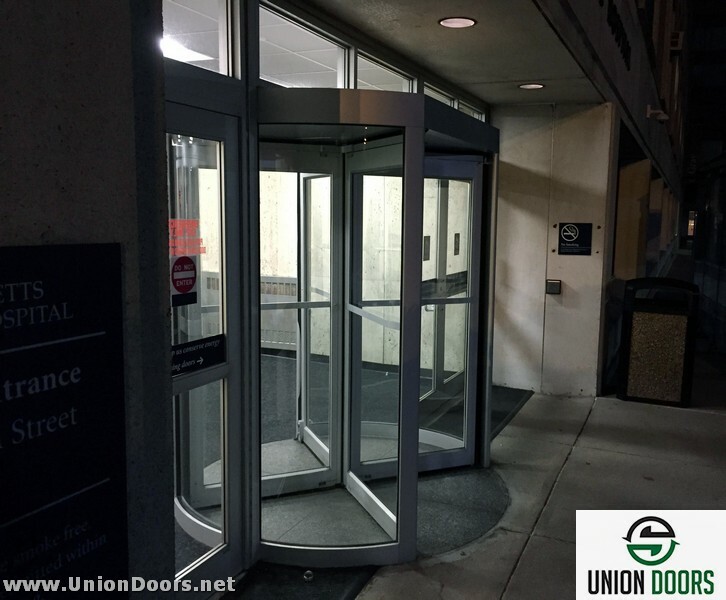 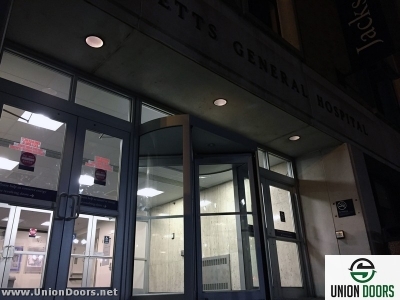 Massachusetts General Hospital brings in Union Doors for some of their door work. 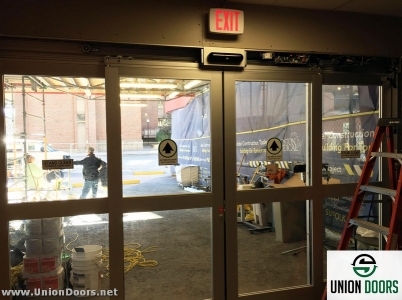 Turner Construction also brought Union Doors on to work on various door related aspects of their project. 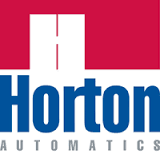 These projects involved Horton Automatics – four wing manual revolver as well as Horton Bi-Parting full break-out sliders. Horton products are the class of the door industry and MGH like most healthcare facilities spare no expense when it comes to standards of quality. 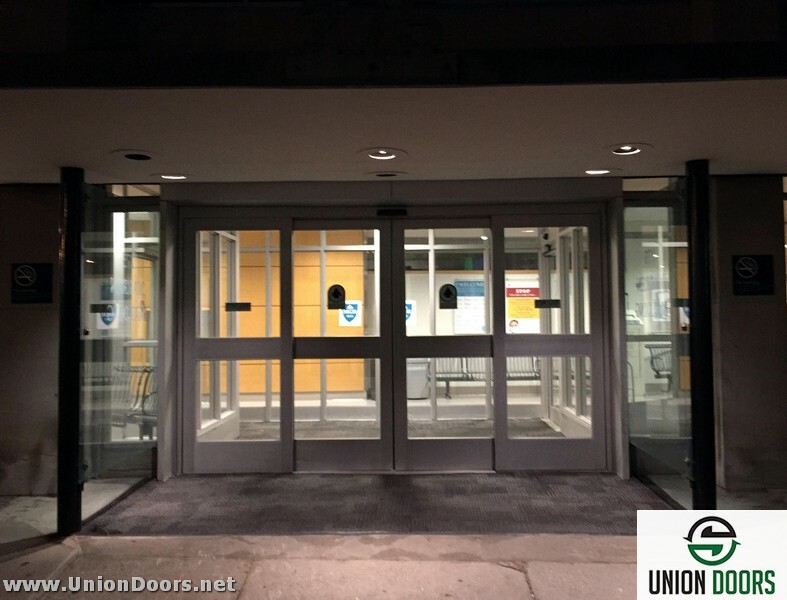 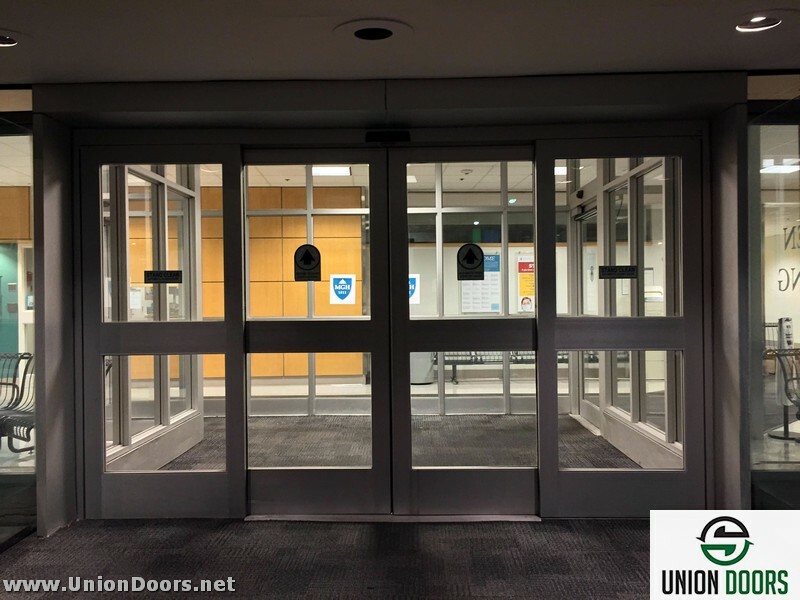 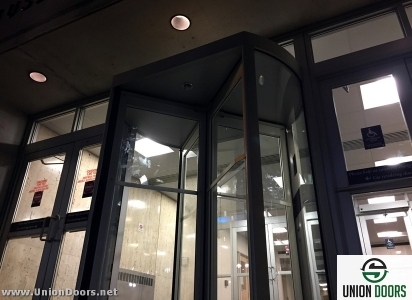 In most cases, Union Doors can offer unique customization installation details to spec. 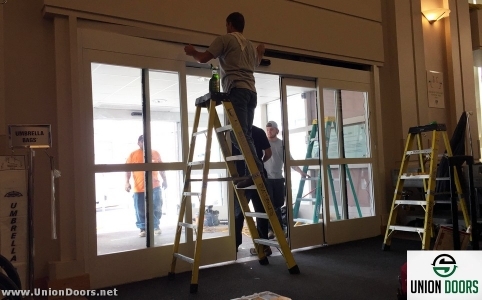 More About Horton Sliding Door Systems – CLICK HERE.